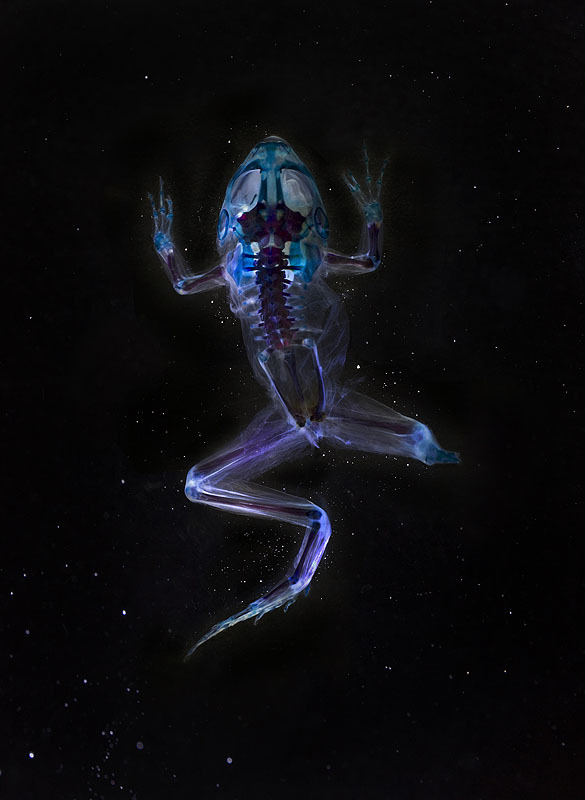 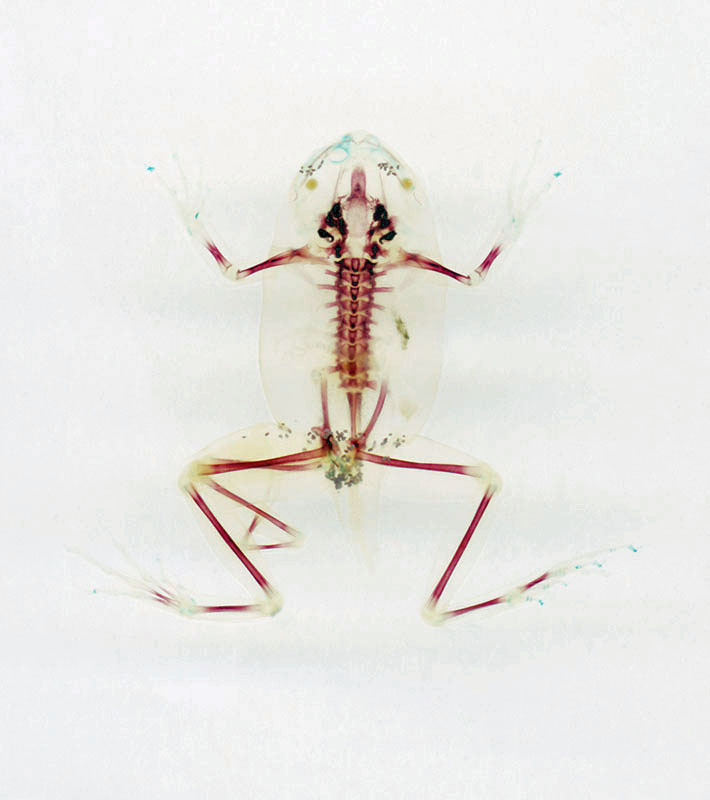 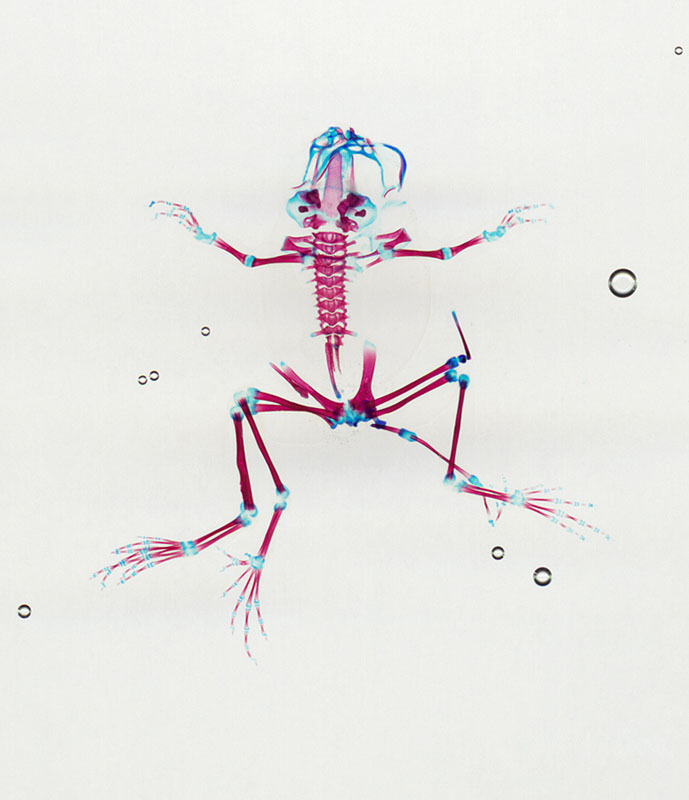 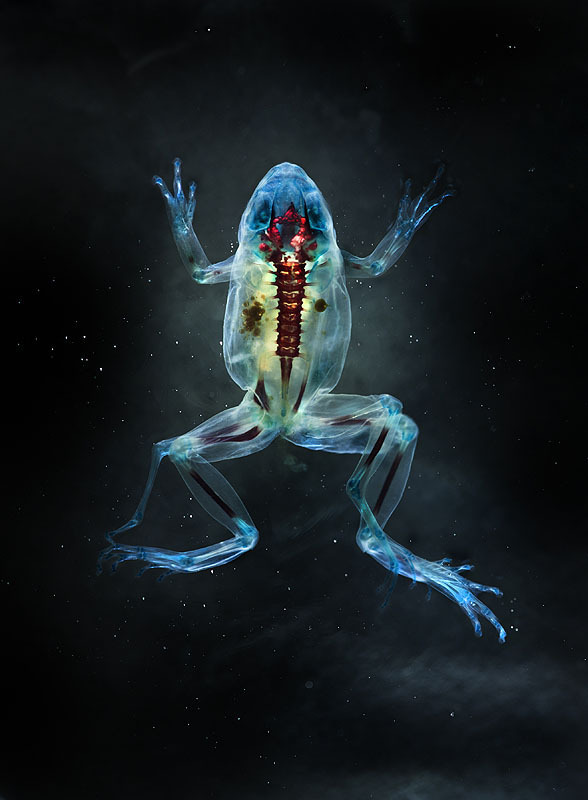 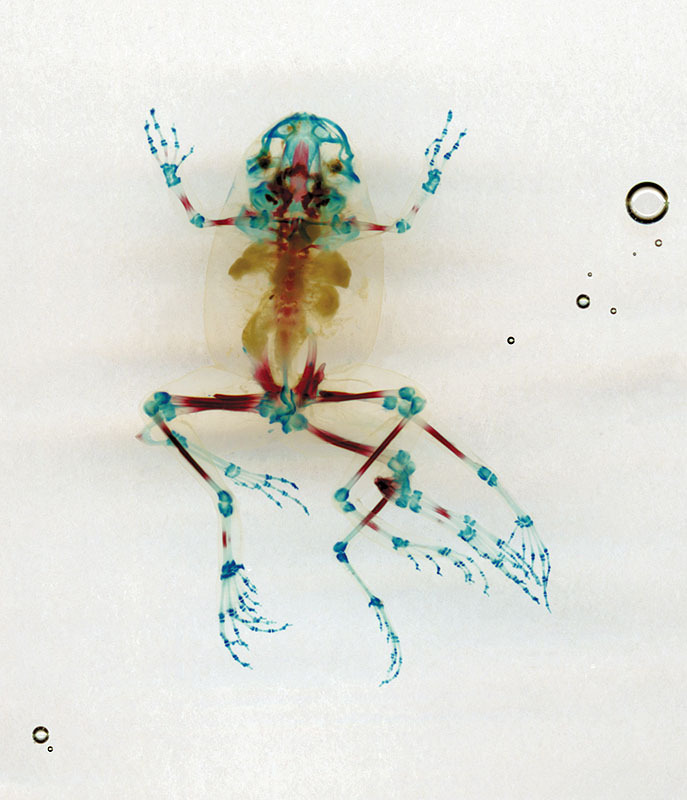 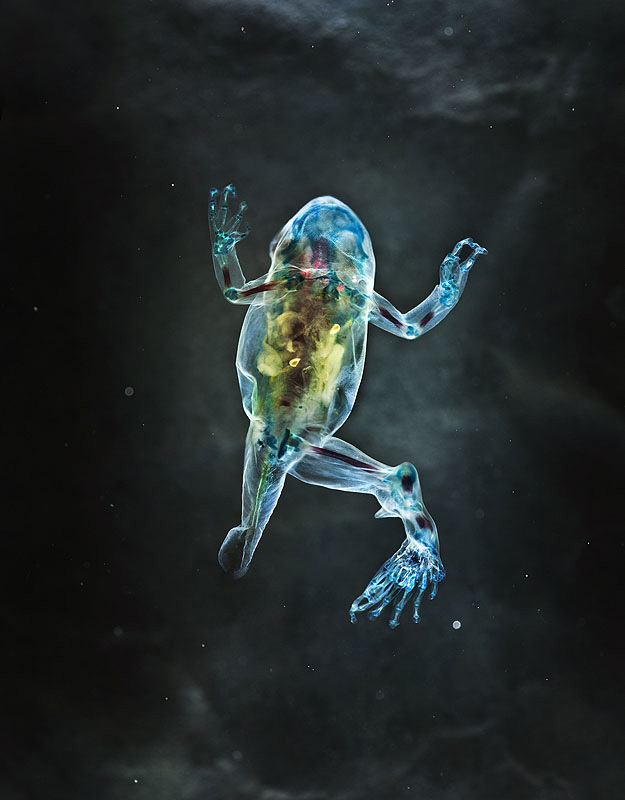 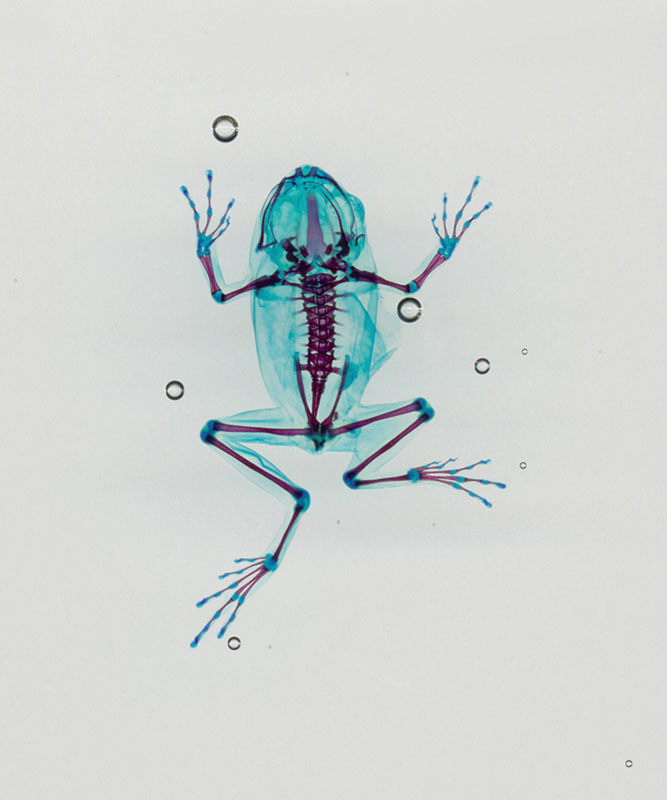 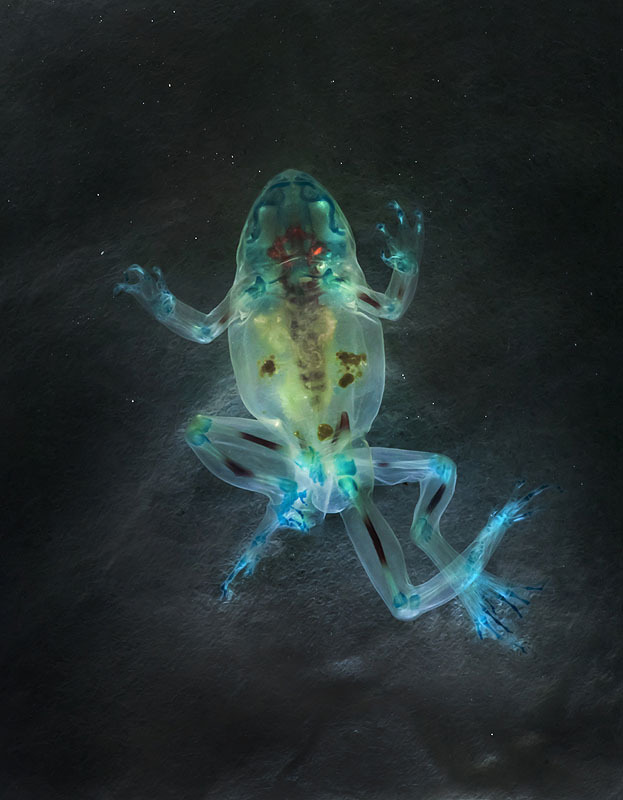 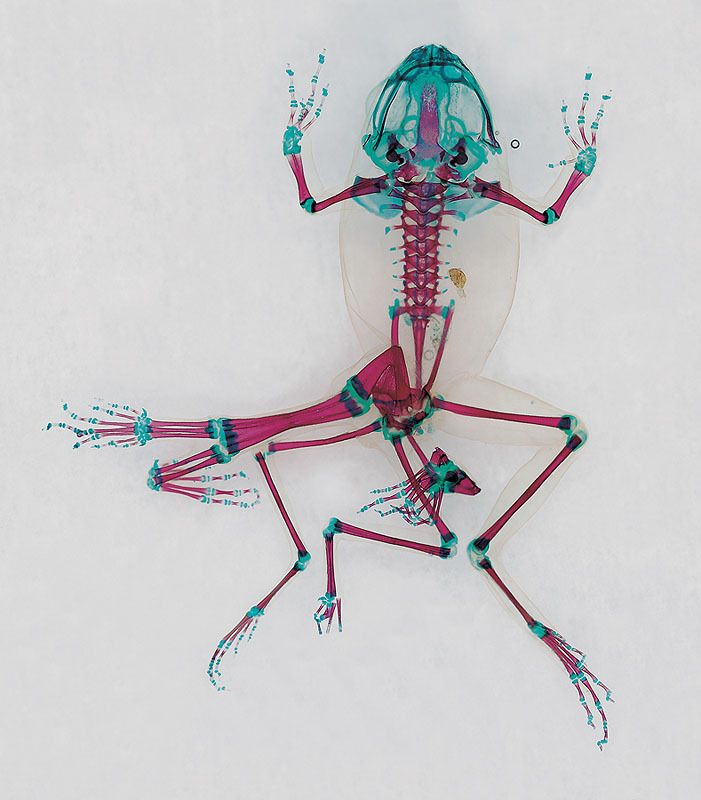 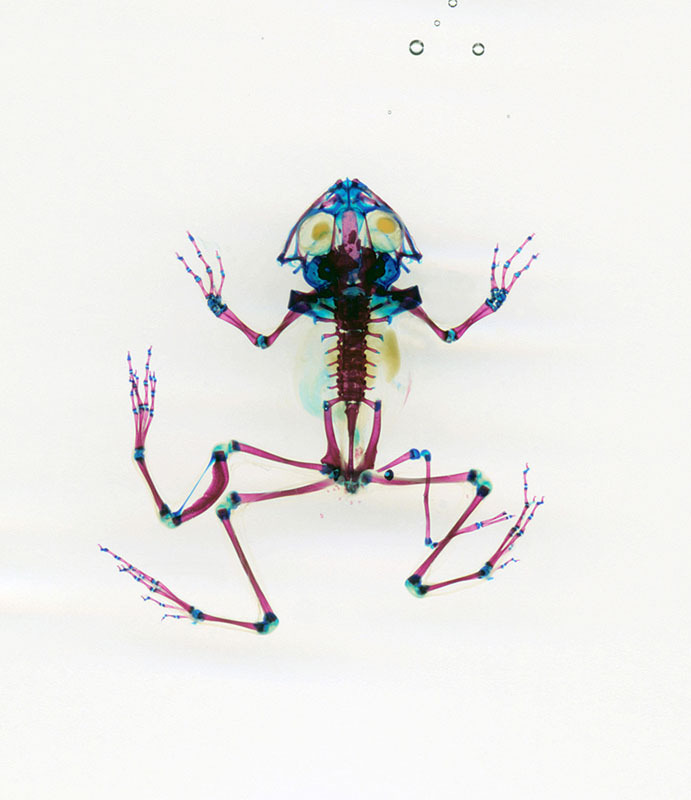 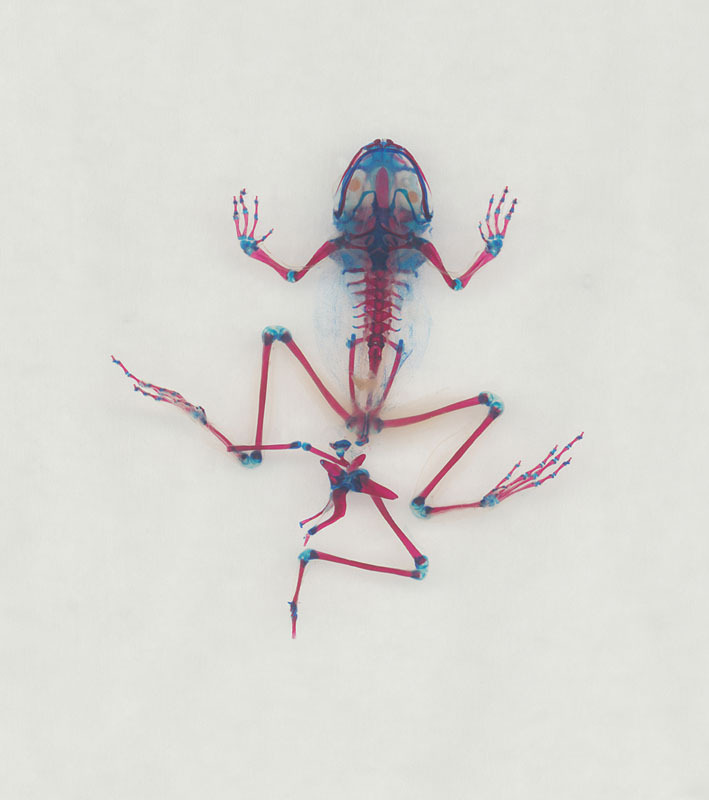 These reliquaries are created by chemically “clearing and staining” terminally deformed frogs found in nature. 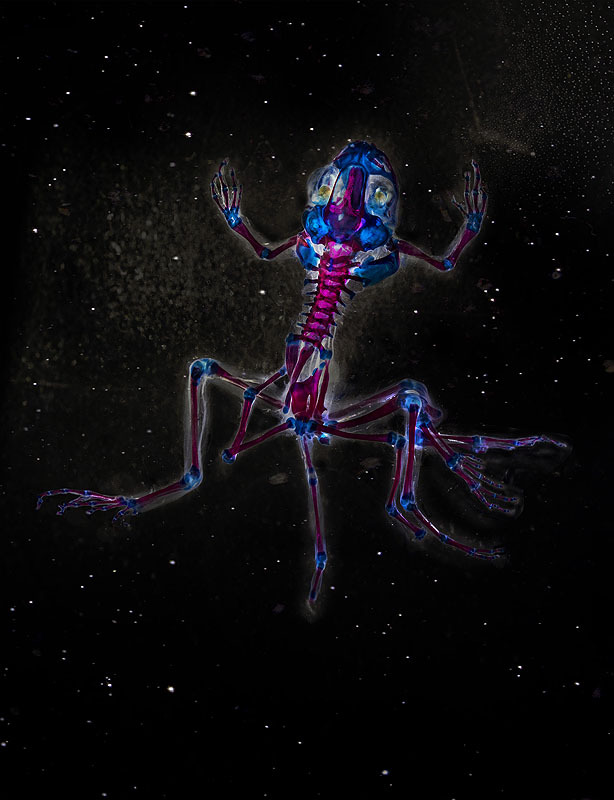 This process obscures direct representation- as I do not want to exhibit large images of “monsters”, which would be frightening and be exploitative to the organisms. 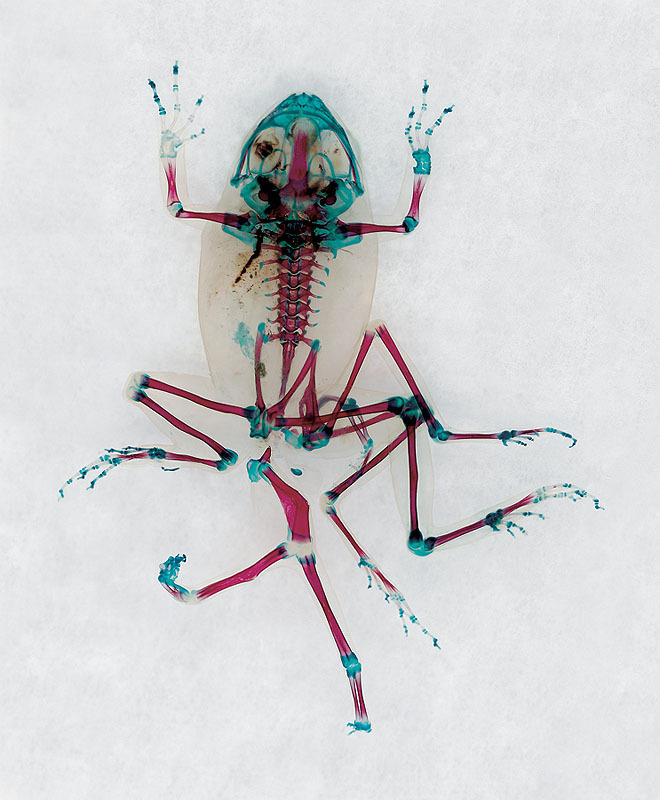 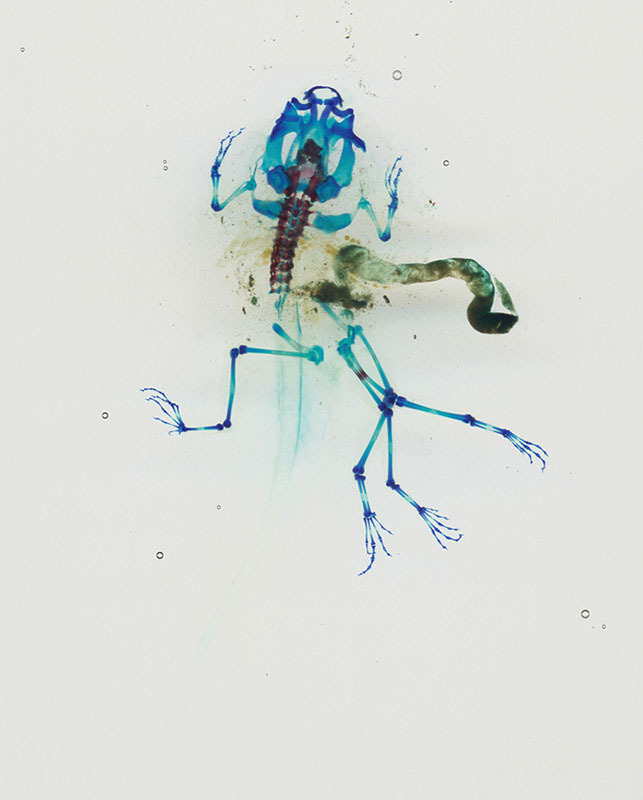 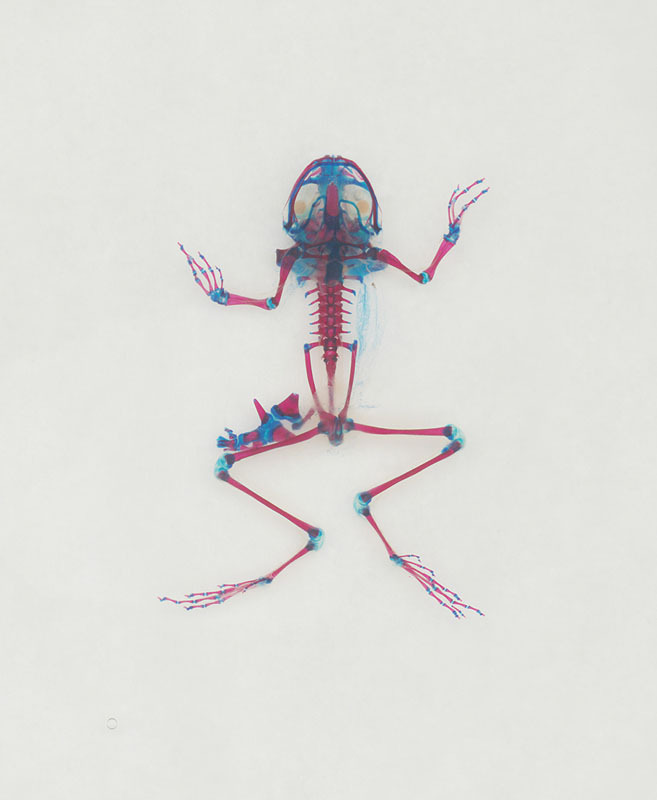 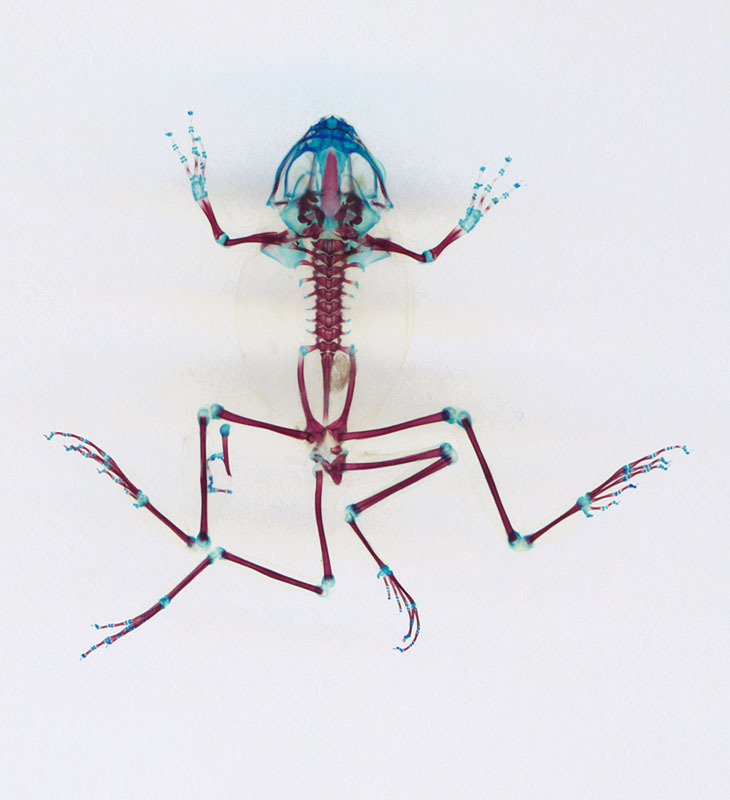 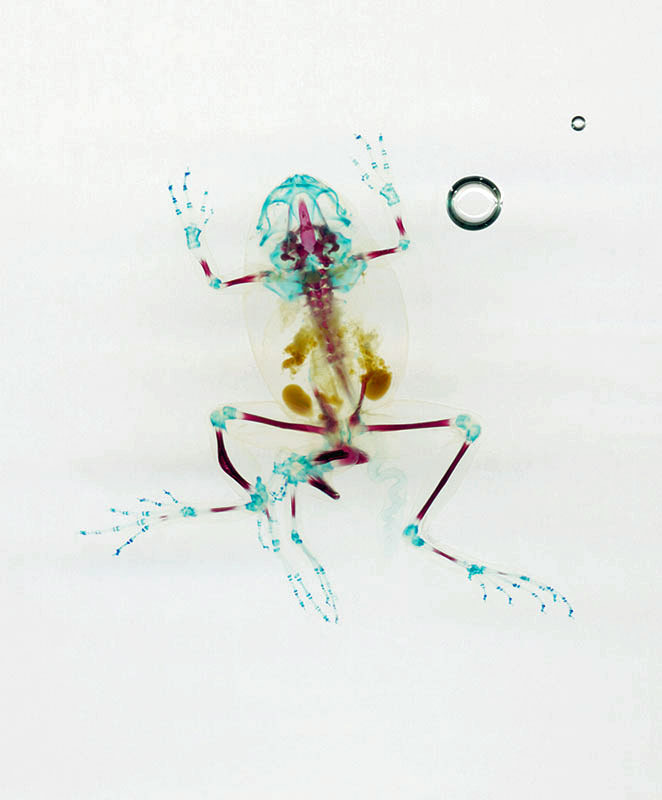 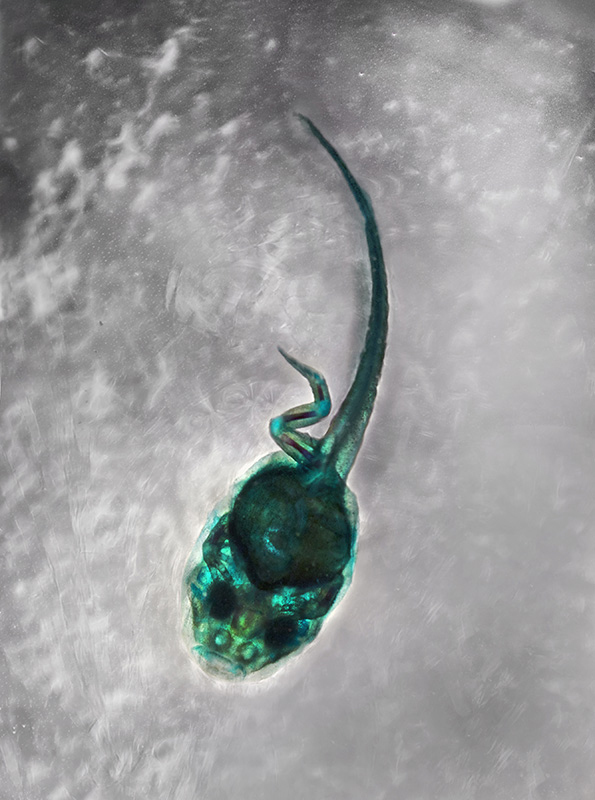 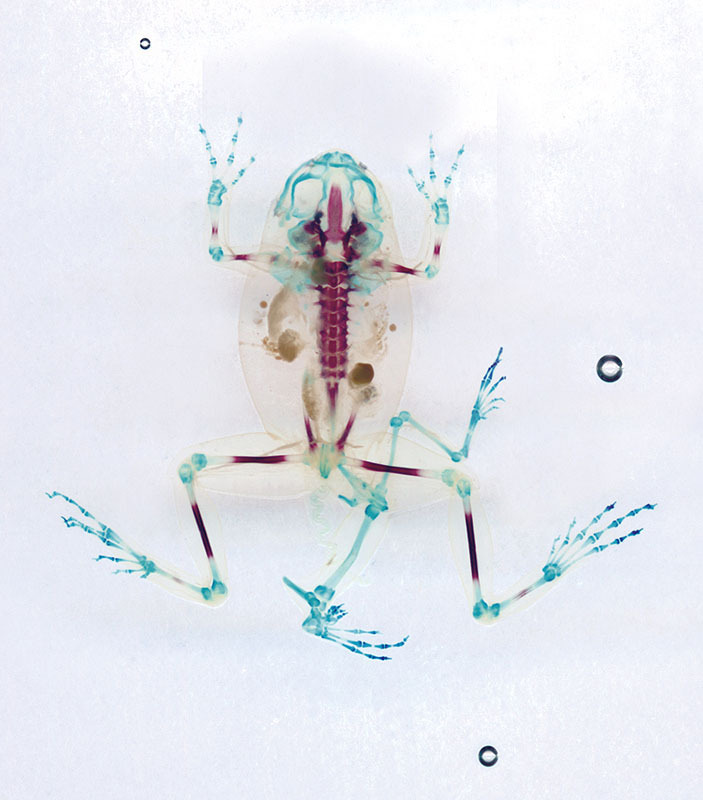 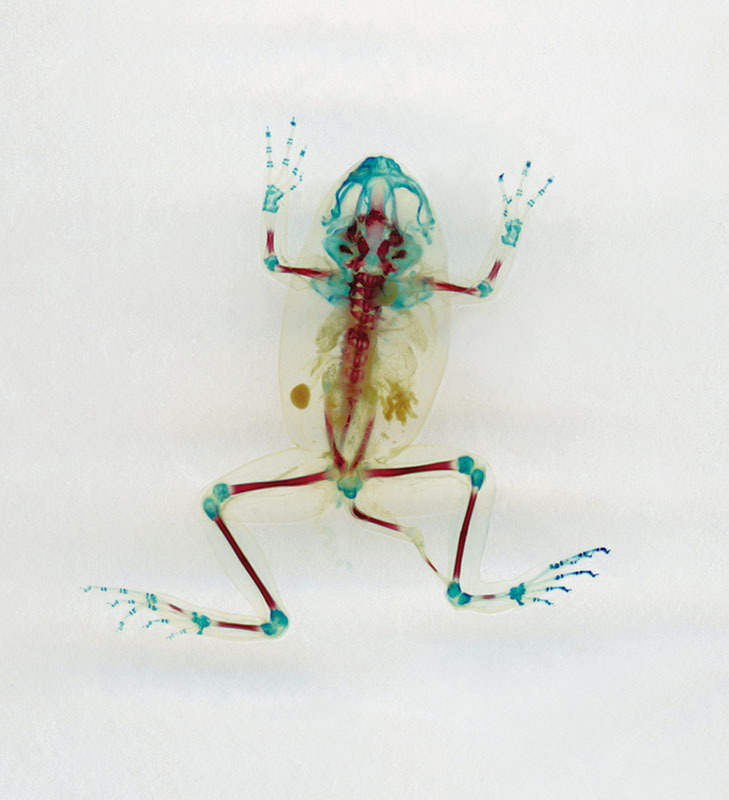 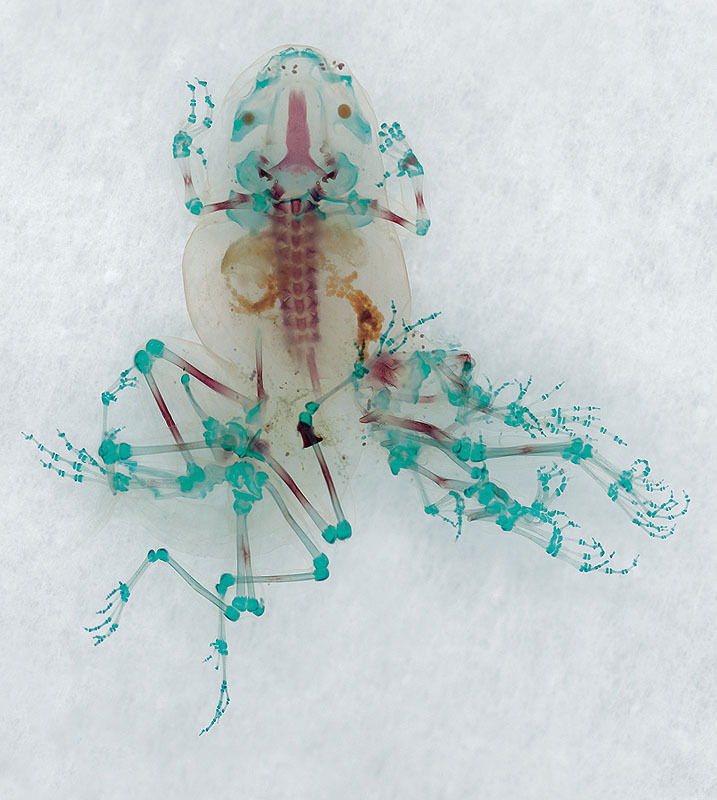 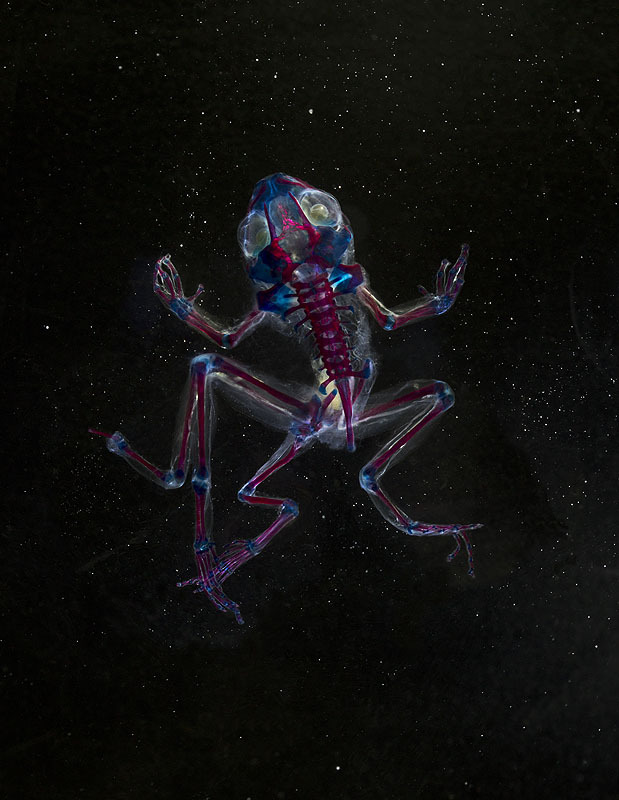 This process is followed by high-resolution scanner photography of each specimen to create individual portraits. 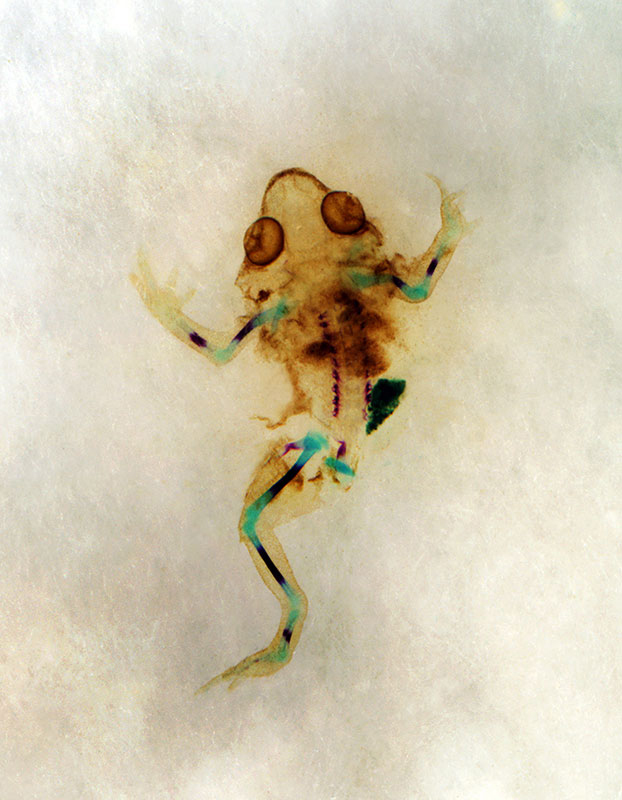 These portraits are printed as unique watercolor ink prints (never made into editions) and each individual frog will be centered appearing to “float” in what looks to be clouds. 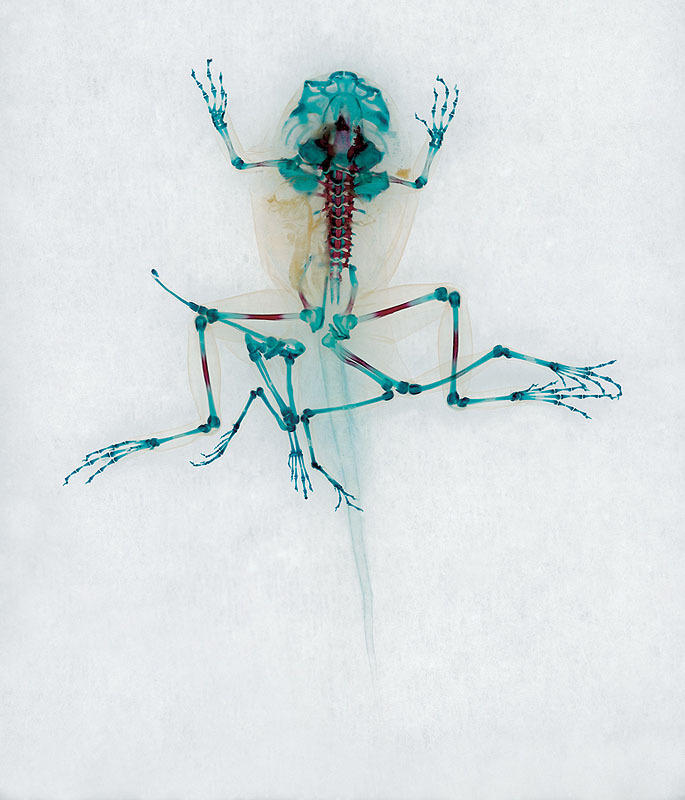 This otherworldly quality is reinforced by the titles named after ancient characters from Greco-Roman mythology. 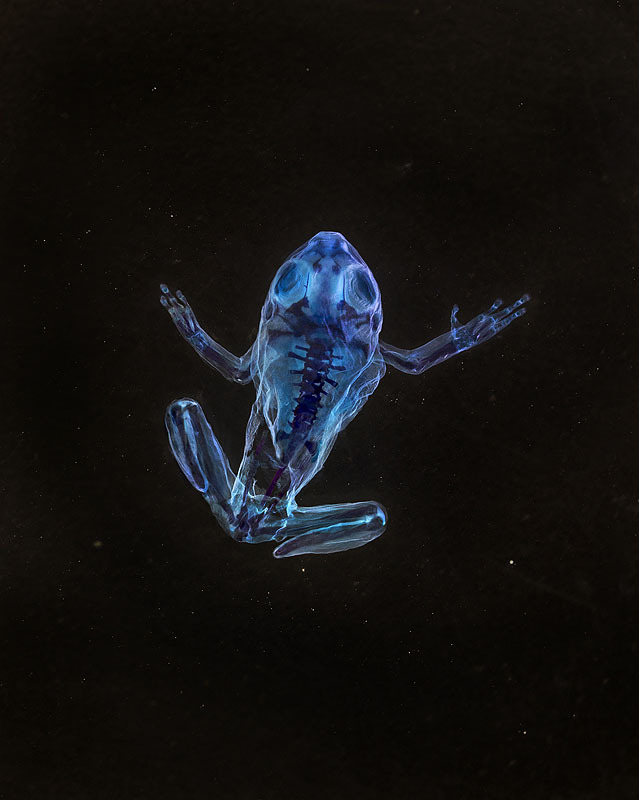 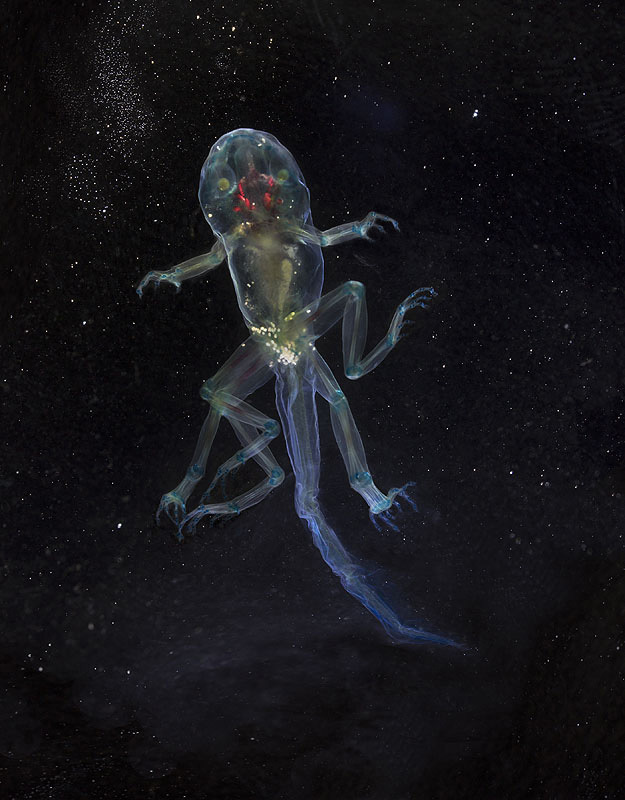 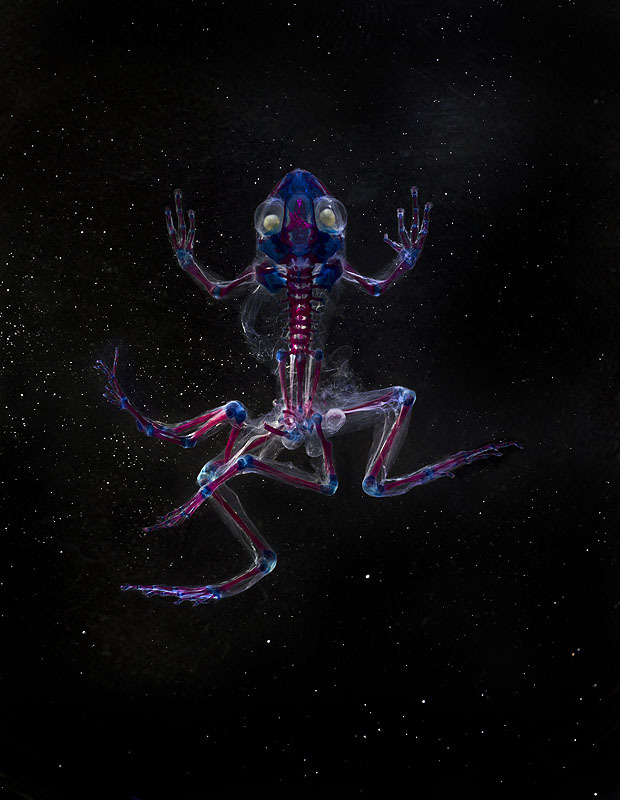 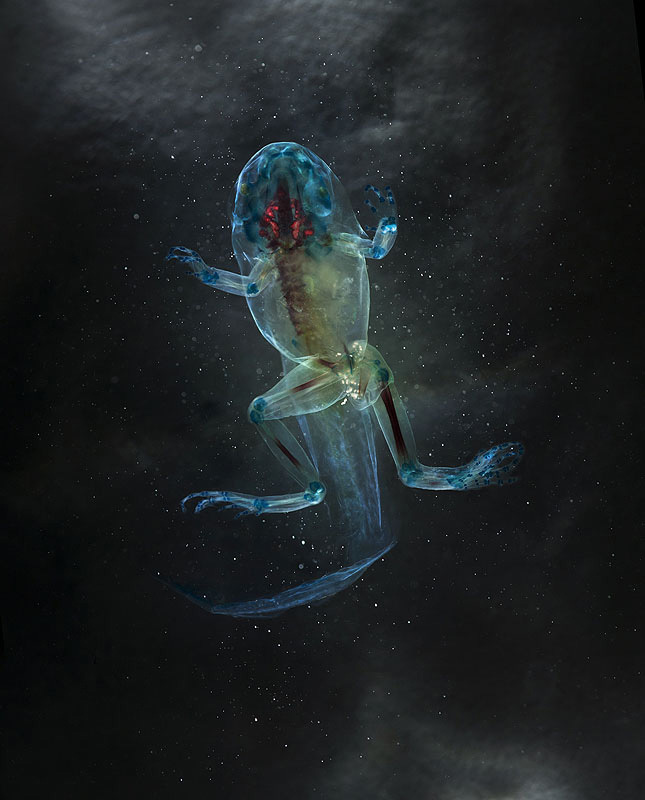 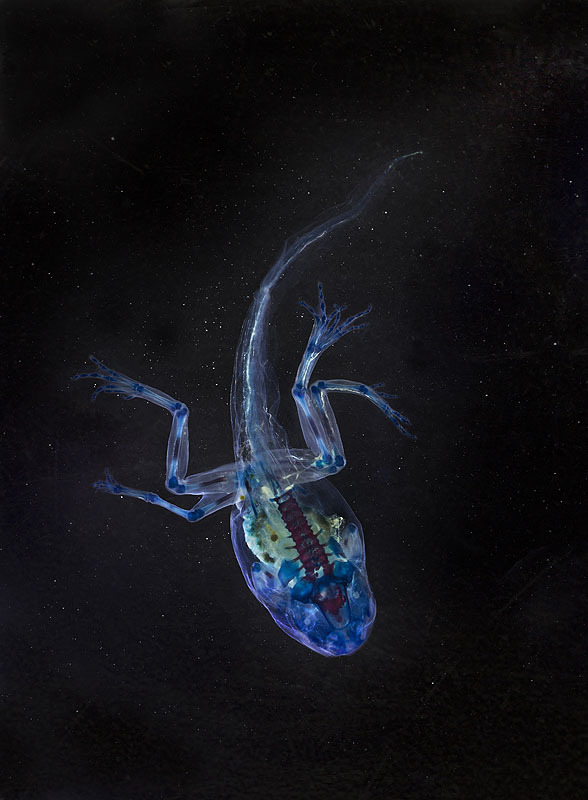 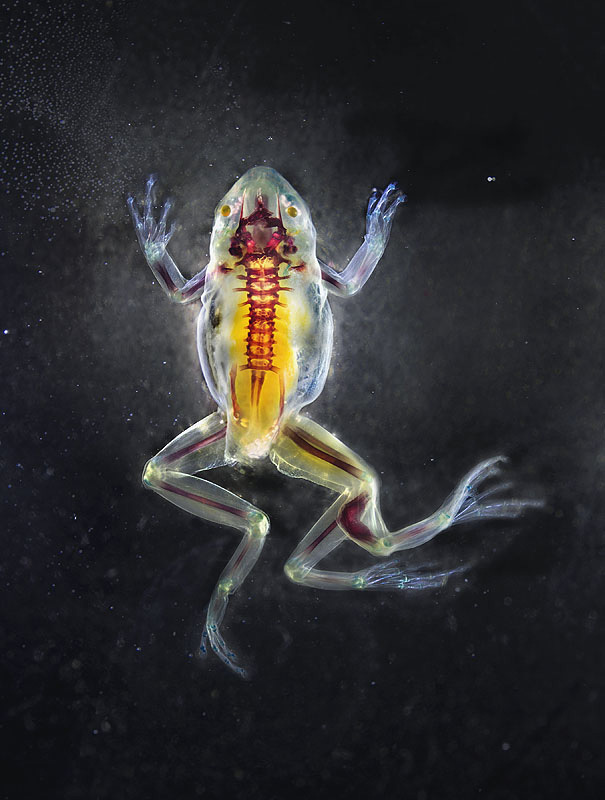 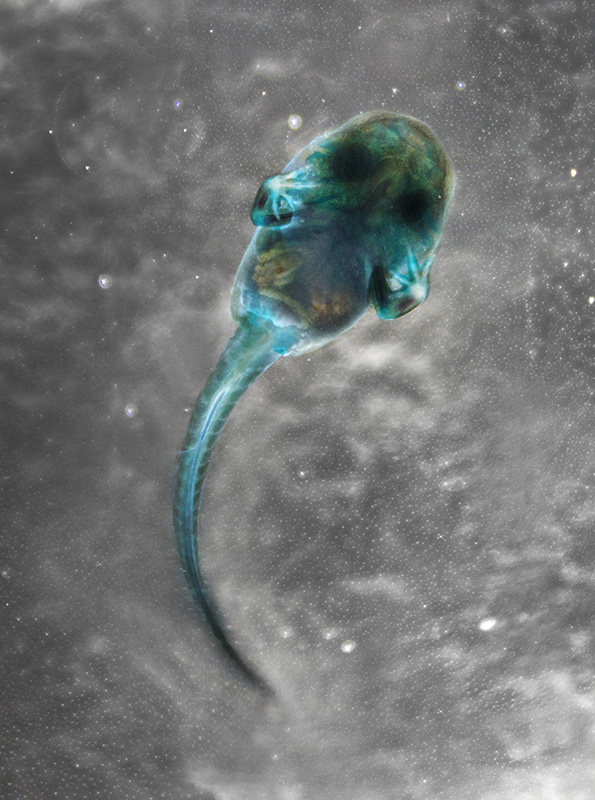 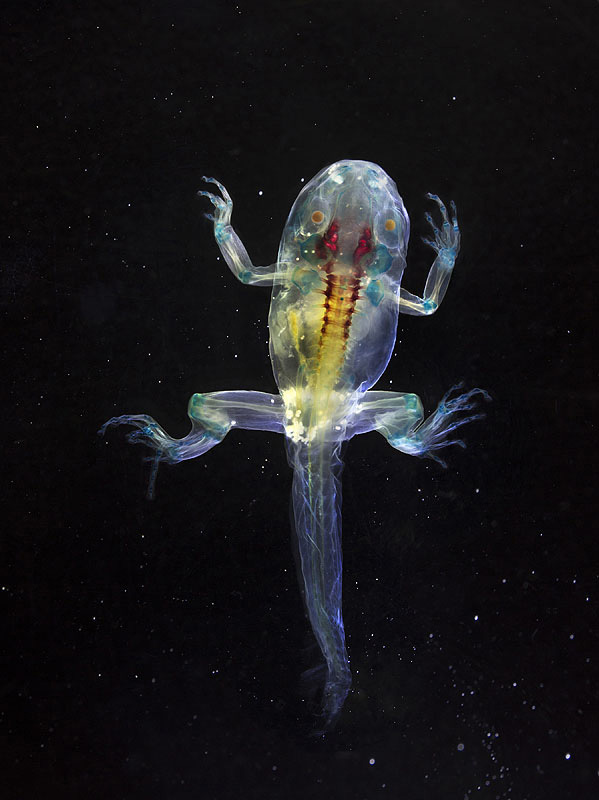 They are scaled so the frogs appear approximately the size of a human toddler, in an attempt to invoke empathy in the viewer instead of detachment or fear: if they are too small they will dismissed but if they are too large they will become monsters. 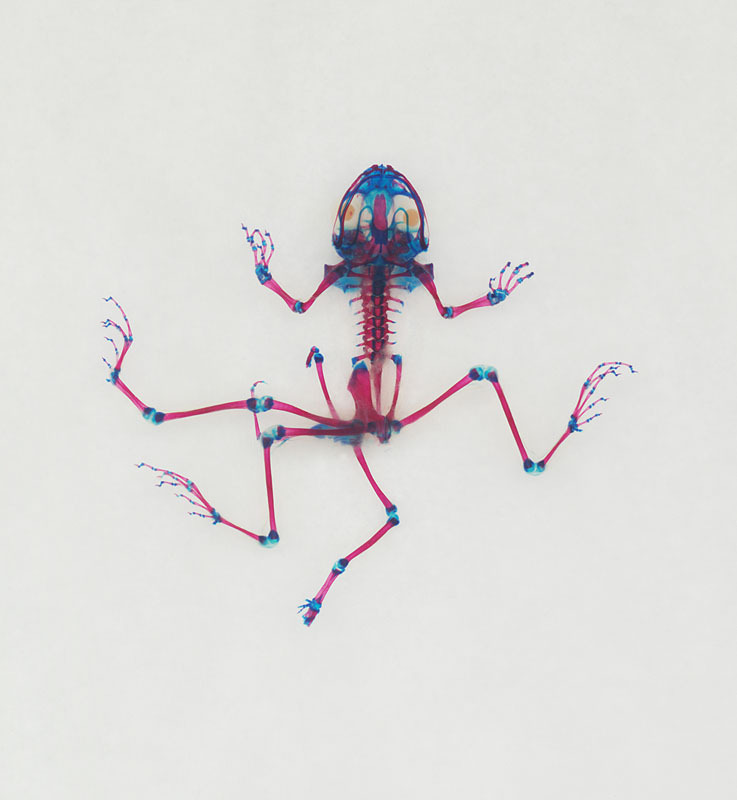 Each finished artwork is unique and never editioned, to recall the individual animal and become a reliquary to a short-lived non-human life.